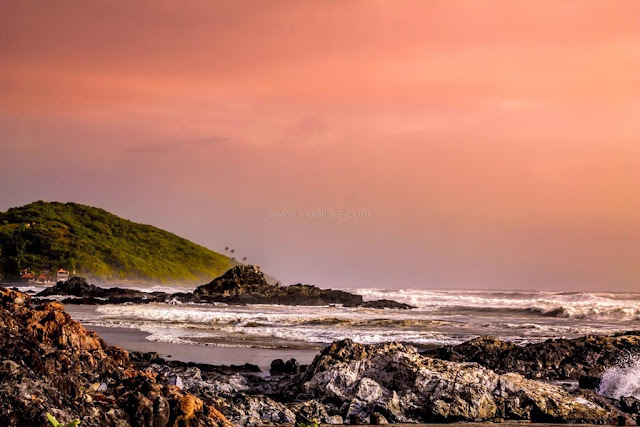 My hobby is travelling, which gives me a wonderful opportunity to capture good landscape photographs.On my trip to Goa, I was shooting the beautiful sunset, because beach provides you the scenic view of the setting sun, and this is the most popular event to capture for the photographers. Setting Sun acts the great element in the Sunset photos and gives you the opportunity to click some great shots.It is very easy to play with the sunset light, and capture the stunning and inspiring sunset photos.Everyone loves to take photos of sunset even I love do the same, but what you will do? when you have opportunity to take the photos beyond the sunset, yes you still have opportunity to capture some great shots after the sunset when light gives you a dramatic effects in photos.The same chance I got when I was shooting on Vagator beach Goa, after having some shots I was ready to go back to my hotel and was packing my equipment, and suddenly saw the sky, it has more drama than any movie.